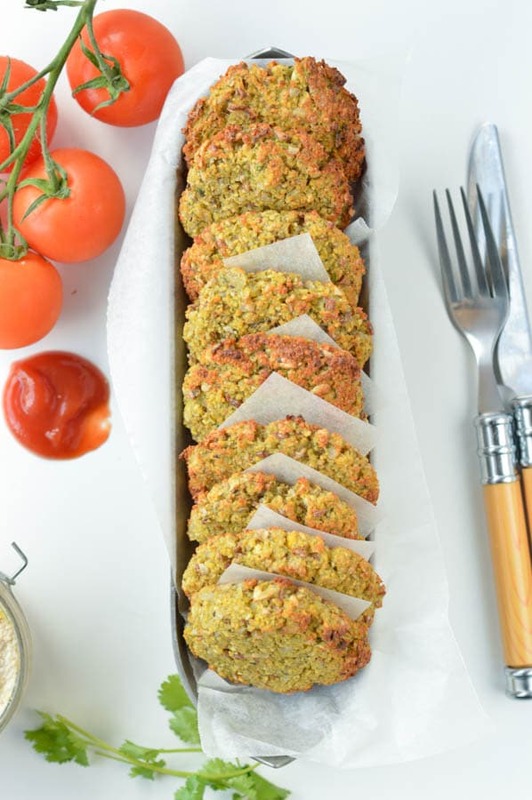 Those Easy Baked Falafel recipe makes the best clean eating lunch ever! You will love their crispiness, melt-in-your-mouth center and crunchy bites of beans. Those healthy vegan baked falafel will turn any sandwich or salad to a flavorsome meal. I am finally back home in New Zealand. I promise I will come back from France with some interesting recipes inspiration and here we are! In France there is a strong middle Eastern food influence. You can eat lots of Turkish, Egyptian, Libanaise food. In Lyon, I head up to a small falafel restaurant where I had the most beautiful crispy baked falafel in my life. The outside was so crispy and the inside so moist full of small bites of ‘je ne sais quoi’ . So I talk to the cook and he gave me the secret to make the most delicious baked falafel. First, the beans should be raw – not canned beans- soaked overnight in water and the finest falafel use a combo of chickpeas and fava beans. 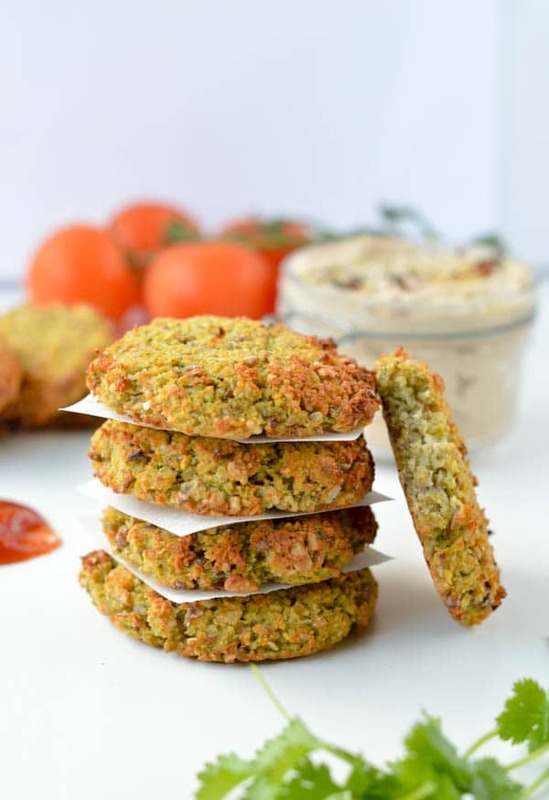 Then, the flour used in authentic falafel is chickpea flour – also known as besan flour. Finally, a combo of seeds and fine bulgur is added to add some texture into the center. Also he insisted on the resting time. It makes all the difference as the flavor will blend even more through the batter. So back decided to make my own batch of baked falafel with fava beans, bulgur and chickpea flour. I found all my ingredients easily at my local wholestore. I meticulously follow all the tips he gave me : soaking the beans overnight, adding fine bulgur, seeds and being patient. You know I am not the best at waiting but after 2 hours in the fridge the falafel batter cames out amazing. The texture was very wet and first I was worried on how it could cook and hold together. But it goes very well and the result was simply amazing. I know this recipe is not the fastest but really, it worth to try it once in your life. It is a life changer! Next time I promise I will share something more French inspired ! 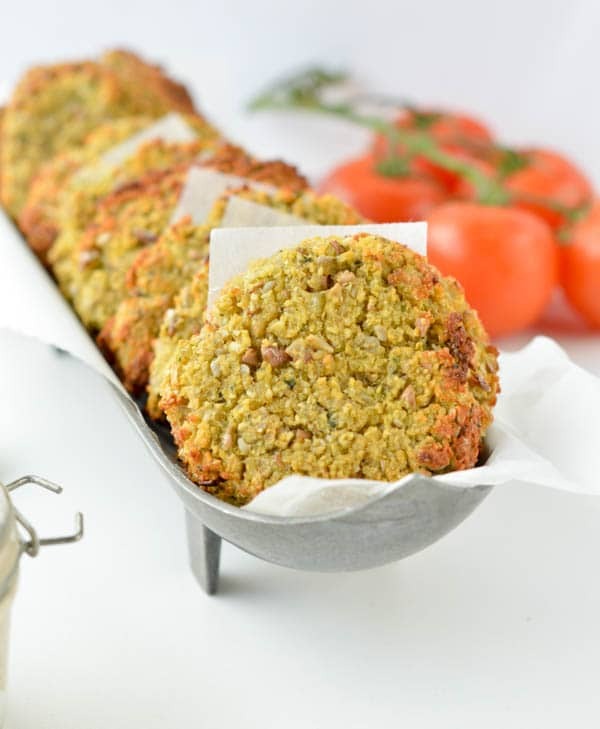 But for now I recommend you to enjoy this baked falafel recipe and let me know what you think! I truly think those are the best and not so hard to make. Crispy Baked falafel made from Chickpeas and Fava beans. This is your healthy and easy vegan recipe to replace meat in sandwiches or salads. Preheat oven to 215 C (420F). Cover a baking sheet with parchment paper, spray some oil if needed - my paper does not stick to food so I did not. 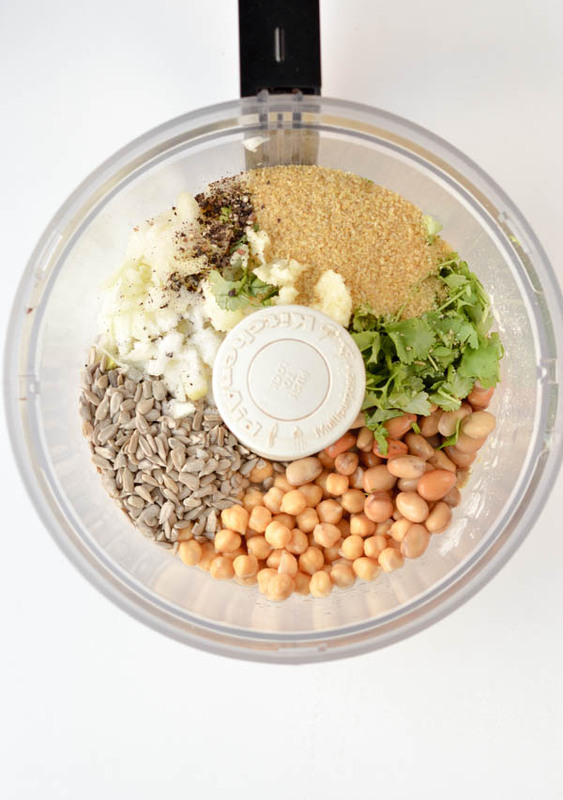 In a food processor, using the S blade attachment, add all the falafel ingredients following the recipe ingredients order. Process on medium speed until it comes together and forms a consistent falafel mixture. Don't over process it as you want to keep bites of seeds and beans to add texture. It took me less than 2 minutes to process. 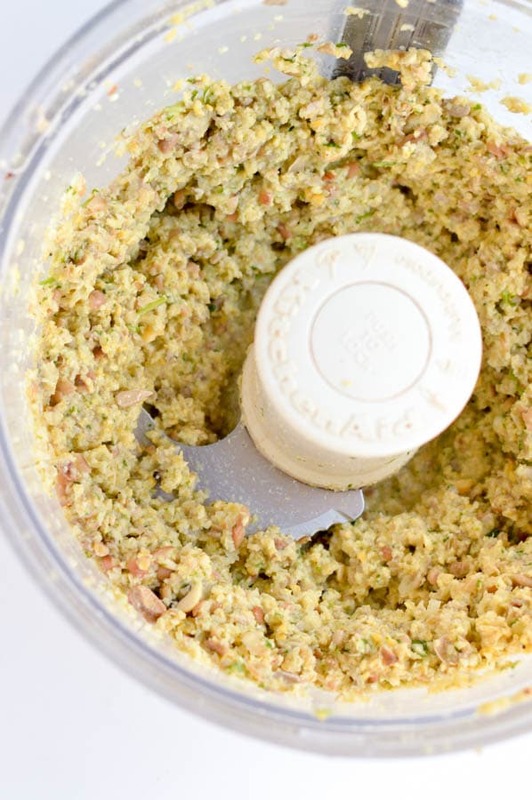 Transfer the falafel mixture into a large mixing bowl. Cover with plastic wrap. Refrigerate 2 hours - I know it is long but don't skip this step. Remove the bowl from the fridge and with your hands, form balls with the falafel mixture. Place the ball onto the baking tray covered with parchement paper and slightly press the ball into a thick falafel patty. Repeat until you use all the mixture. Bake at hot oven for 17-20 minutes or until the sides gets brown and the centre is golden. Cool down on a cookie rack few minutes and serve into pita bread, on top of salads or as a appetizer bite. Beans: this recipe must use uncooked/raw beans. You can use a combo of chickpea beans (also known as garbanzo beans or ceci beans) and fava beans as mentioned in my recipe or simply use only one sort of bean. Bulgur: fine bulgur is simply bulgur that has been processed into a thinner size. You can blend/process regular bulgur for 30 seconds to make your own fine bulgur in a minute. If you don't have bulgur on hand, you can use millet or quinoa if gluten free. Same, process into a fine texture before adding into the recipe. Herbs: I used coriander but flat parsley is the authentic herb used in falafel recipe. It is up to you to change or use a combo of both. Store: the fresh falafel mixture store very well in the fridge for 1 day. You can prepare the mixture the day before and bake your falafel the day you need. Freezing: I freeze my falafel after baking. I bake them a bit less than usual only 13-15 minutes. Cool down and bake in zip bags. I like to defrost them 3-5 hours before eating, laying the falafel on a baking sheet covered with parchment paper. Simply rewarm in a oven at 180C for few minutes - not too long or they will dry out significantly. Nutrition panel is for one falafel. This recipe makes 15 baked falafel. Thanks my friend! I hope you love them as we do. XOXO Carine. First falafel recipe I made with bulgur but this was amazing ! super crunchy !!! these look amazing!!! Can’t wait to try them, but where do you get raw beans? Hi, Yes they are very good ! I bought them from a wholefood store in Mount Eden in Auckland – not sure where you live. You can also find them in the supermarket usually sold in the organic aisle or next to split lentils ! Otherwise the recipe will work perfectly with canned chickpeas but you will lose some crunch. Enjoy the recipe. Fantastic recipe and great video as well. This is just how I think falafel should taste. Thanks so much! Would these work without the seeds? Also, could I swap the chickpea flour for buckwheat flour or wholemeal flour? 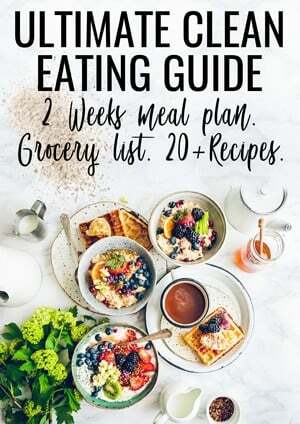 Hi, That is a lot of adaptation to this recipe – I did try those I must say so it is hard to say yes to all of those. But, I am pretty sure wholewheat will replace chickpea flour with no issue. Concerning the seeds, there is 1/2 cup in this recipe so you can’t just remove them without a substitute or you will miss some texture. Maybe add 1/2 cup breadcrumb or almond meal. 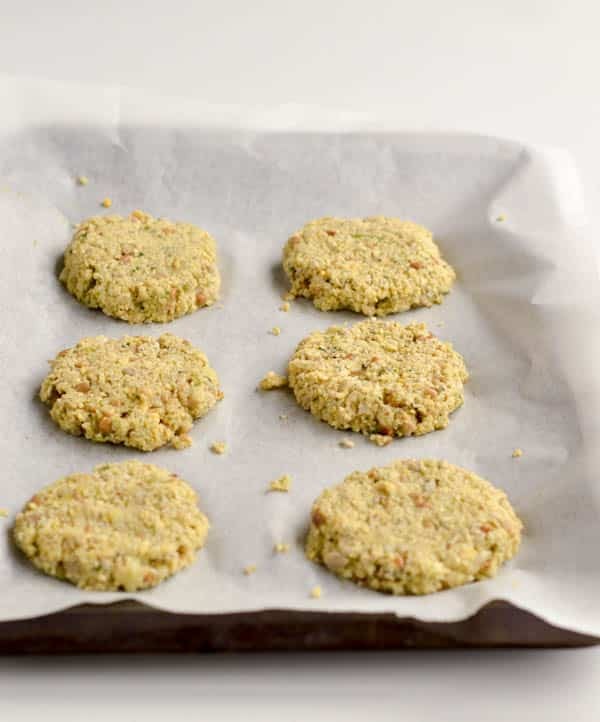 Otherwise I have got another lovely baked falafel recipe that may be more appropriate to the ingredients you are looking for. Have a look at my spinach falafel here and let me know ! Have a lovely day my friend. XOXO Carine.